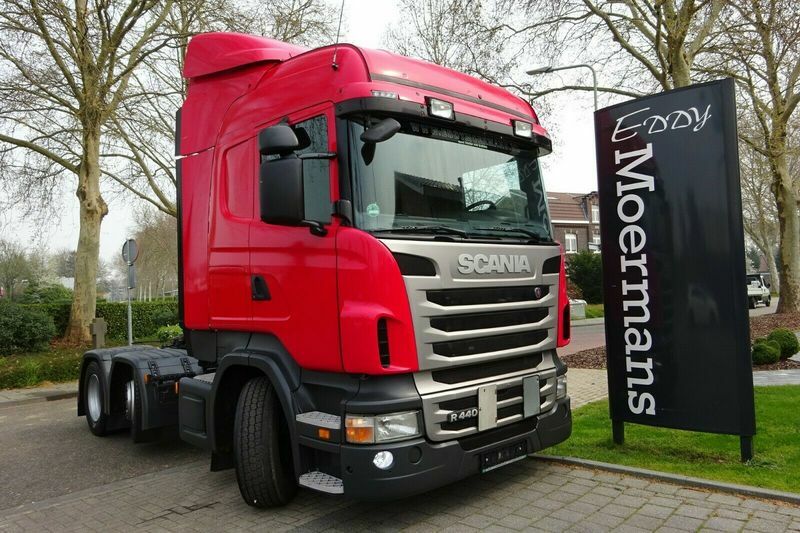 Used tractor unit Scania R440 Highline 6x2/4 Twinsteer for sale by Eddy Moermans Handelsonderneming b.v. The current price is 22900 Euro. Check the technical data of the unit, picked out from the catalog of SCANIA R 440 tractor unit. Engine/driveline: Euro 5, diesel, 441 hp, gearbox: automatic. Wheel formula and suspension type: 6x2, number of axles: 3, ABS, EBS.